I'm watching the original Doctor Who episodes. I forget why, but now that I've started, I don't think I can stop. I've now watched six seasons, covering two incarnations of The Doctor. William Hartnell originated the role, but left the series early in Season Four. Patrick Troughton took over the role, and remained through Season Six. He left, and a new actor, Jon Pertwee takes over in Season Seven. More about the Troughton to Pertwee transition in a bit. The sixth season consisted of 7 serials, composed of 44 episodes. Seven episodes from two of the serials are missing. The other five serials have all their episodes. And, from late Season Six on, there are no more missing episodes. That doesn't mean they're all available on home video. Hulu Plus has a lot of episodes available, including 3 of the 5 complete serials from Season Six. Amazon has only one serial from the season available. YouTube has some official clips, as well as some unofficial uploads of episodes. DailyMotion has them all. The show speaks against violence while containing much (whole races wiped out). This season, they preached against nuclear power in The Dominators (5 episodes). The race on the planet Dulkis was developing nuclear power, but realized the destructive power of nuclear weapons, so they abandoned it. They also started wearing dresses. The show does't say if they abandoned wind power after seeing hurricanes or tornadoes, or hydroelectric power after seeing floods, or solar power after seeing droughts, or cooking with fire after seeing forest fires, or ... okay, you get my point. It's 1968 when the shows aired, and it's Britain, so we get hippie messages from Doctor Who, and Sean Connery quitting James Bond. I know Connery came back. I'll see if Doctor Who keeps up all the hippie talk. The Mind Robbers (5 episodes) is the serial that's on both Amazon (Prime) and Hulu Plus. Not sure why, but the Hulu version is a better quality picture. It's also an odd serial for a couple of reasons. First, there's the odd things going on. Characters from literature are wandering around. Next, there's the temporary recasting of Jamie. Hamish Wilson took over for two episodes when Frazer Hines was ill. The Doctor solved a puzzle incorrectly and Jamie's face was changed. A later puzzle put it back. The character of Lemuel Gulliver (yes, from the book) spoke only lines that were from the Jonathan Swift book. The did a good job of working his lines into the plot of the story. They also did a good job of showing off one of Zoe's other great assets besides her mind. The episodes of that serial were shorter than normal. From what I've read about the serial, they needed to expand it from the original four to five episodes. Rather than write a while new chapter in the middle somewhere, they shifted the scenes around, making five 20-minute episodes rather than four 25-minute episodes. That helped explain how Frazer Hines was able to appear in an episode in which he was too sick to appear. The scene at the beginning was actually the last of the previous episode. The Invasion (8 episodes, 2 missing animated by BBC) was one of the season's two battles against previous enemies. The Cybermen, who appear for the third consecutive season, are the villains again. The serial also features Colonel (now Brigadier) Lethbridge-Stewart, who will turn up in later seasons. The animation of the two missing episodes is of better quality than that of The Ice Warriors from Season Five. Speaking of whom, the Ice Warriors made a return appearance in The Seeds of Death (6 episodes). 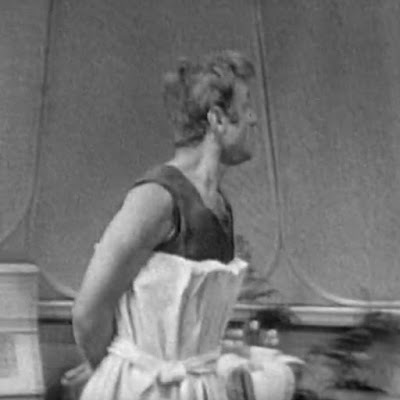 The Space Pirates (6 episodes, 5 missing) is the last Doctor Who serial with missing episodes. After that serial, all episodes exist. The final serial, The War Games (10 episodes), was Patrick Troughton's last during his run as Doctor Who. 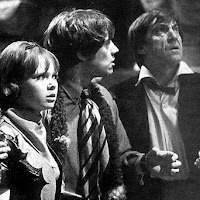 It also saw the end of the run of Jamie (Frazer Hines) and Zoe (Wendy Padbury), the first time a Doctor and his companions left in the same episode. This is the episode where we first find out about Time Lords. The Doctor, as it turns out, is a Time Lord who ran from his race of people because ... he was bored. After calling on the Time Lords to deus ex machina his way out of an impossible situation, they put him on trial -- they have been looking for him for ... a long time -- and sentence him to exile on 20th century Earth with his appearance changed. And he has to forget how to use the TARDIS. They didn't actually say he would regenerate, just change his appearance. Oh, Jamie and Zoe? They were sent back to where they were when they left with The Doctor. The sixth season was the last season in black and white. The next season would be in color. Or colour. Since it's British and all. After six seasons, I have to say I do like the Doctor Who character. William Hartnell was absolutely awesome as The Doctor. At least, he was to me. Patrick Troughton made the character much less serious, but did, I thought, a very good job transitioning the character. I'm curious as to what Jon Pertwee brought to the role. Interesting -- you never forget your first Doctor. Mine was Tom Baker, who will always be the Doctor to me, although I've liked all the others. Had never seen the Zoe eps and had no idea she was so -- talented. ..And now come the UNIT episodes with the Brigadier, Sgt. Benton, Capt. Yates, Jo Grant and... The Master! Oh, and I mustn't forget Bessie. From here on I've seen them all before you have! The Earthbound thing does get old after awhile. Only having the Master around for The Doctor to match wits with keeps it from getting unbearably dull, but before the Pertwee Era is done, The Doctor will be off in the TARDIS again exploring both space and time, and the most beloved companion of all time, Sarah Jane Smith, will be at his side. Enjoy!